Sometimes, the internet hiccups. And I found that happened with my Autodesk A360 account earlier this week. This is *not* a glitch in the matrix. 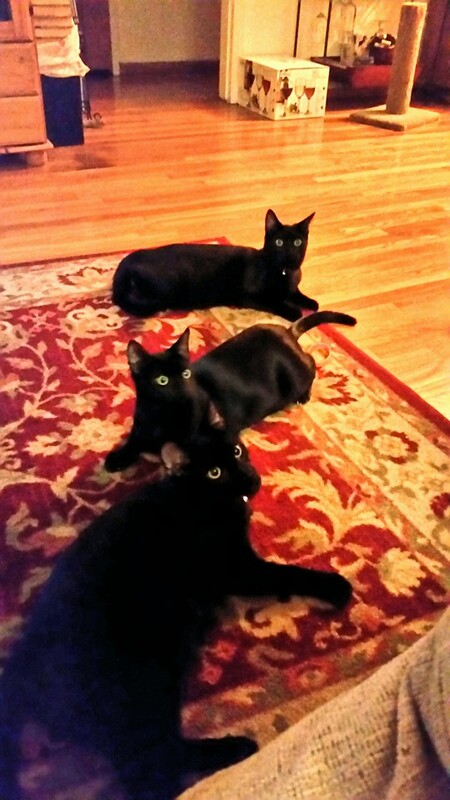 I have three black cats. Friday, I was going to log into my A360 account, and all I saw was the login screen. Seeing how this is a normal thing to see, I logged in, and waited for A360 to do some technical things. This before login is normal. I wait excitedly to be greeted by the wealth of my accumulated information, and what do I see instead? Seeing this after login is NOT normal! That's right! I loop back to the login screen! It's about 10:30PM. So I give up and go to bed. Maybe the next day will fix it. I try it again on the following day, and I still get the same thing. It's time to ask Google! And Google yielded some results from the Autodesk Community itself. You can read the thread at the link here, and I encourage you to do so! But here is the summary from that page. I tried it, and that solved it! I was running Google Chrome, to clear your browser history in that program, hit CNTL+H, and choose the Clear Browsing Data button. Then shut down your browser, and restart it. Try logging in again, and the problem should be solved. So if you're running into this issue, give this solution a try! 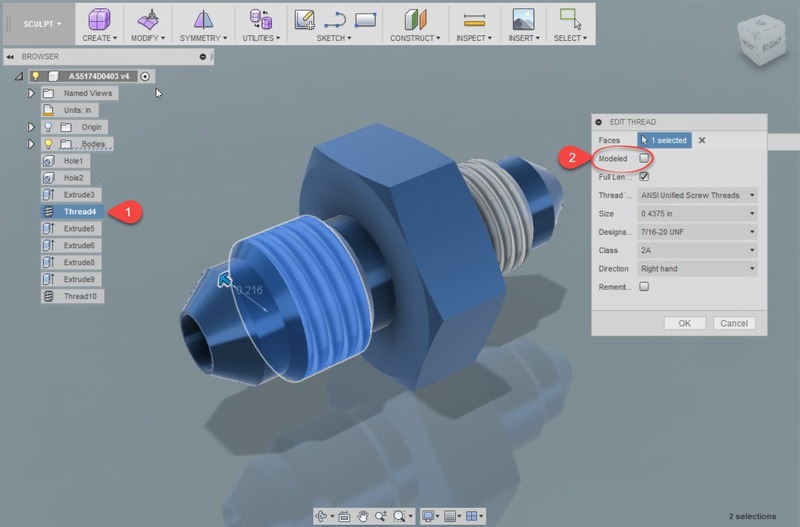 It's sizing up to be a hectic week, but here's a really quick tip I discovered while creating some aircraft fluid fittings in Fusion 360. 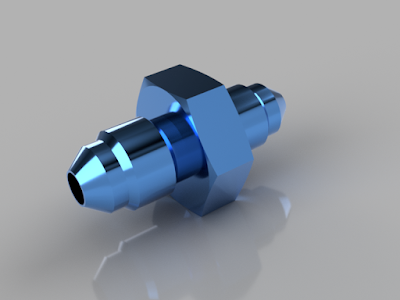 A typical 37 degree flared fitting. Did you know that while creating, or editing threads, you can change whether the thread representation is shown as a graphical representation, or as a modeled thread? And you can toggle it off at will! Showing the modeled thread location. Right click (1), and check (2)! Check it out, and give it a try! When rendering models, this can make the difference between an average rendering, or a great one! Now that's a big difference! Keep it in mind for a time that you need it! Two New Members, and Maintenance on "Websites Jon Likes"
A few years ago, I added a tab to InventorTales I named "Websites Jon Likes". It contained resources I found helpful, or just a little interesting, and I just wanted to share them. That page was long overdue for some maintenance, and so I finally cleaned it up. I removed a few links that have gone dead. The sites have now become the ghost of webpages past. But two more sites were added, and for all the value I think they bring, I wish them a long and prosperous existence. The owners of this site have diligently collected and scanned prints and technical documents for aircraft form the 1930s, 1940s, and a few in the 1950s. I grant you, they're a pay site, but in my opinion, they have earned every cent they earned, plus more. Most of us live life in the cloud, and this has got to be one of the greatest uses for it I have seen. 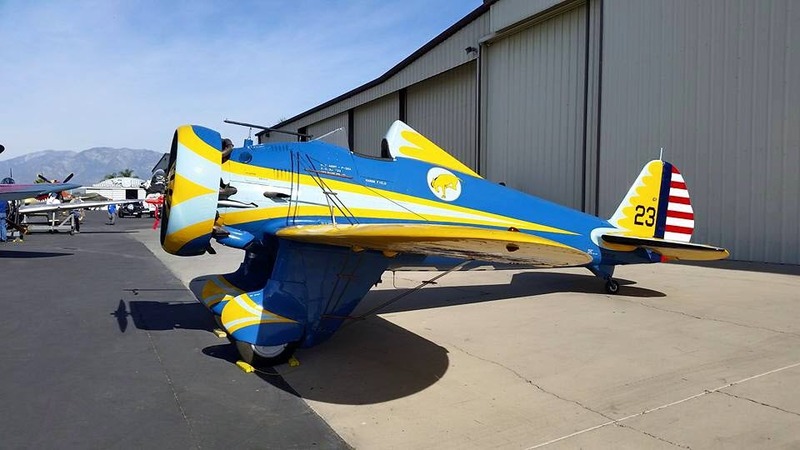 If you like old airplanes or vintage technical documents, then this page is for you! This is a great YouTube channel with a video after video of detailed sheet metal work. Most of the work uses manual tools like English Wheels, shrinkers, stretchers, and brakes. Definitely old school, and definitely worth your time! Here's a video I liked, but this is just a small sample! Check out the site on Youtube! So take look a these sites! I think you can find something worth while! Recently, I've been doing a lot of work with content center lately. I've been building content, publishing content, and fixing content. It can be tedious, but it can also be a lot of fun. But there's one trick I've picked up in my travels. 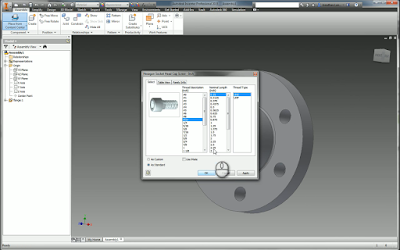 It's how to constrain content, in particular custom content, a little more quickly than by using the standard method. Now before I get started, one disclaimer. 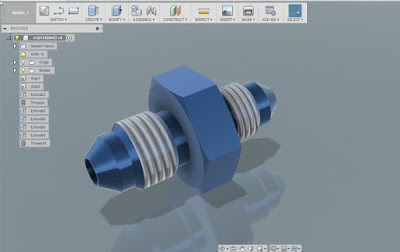 I'm using standard content to demo my blog, I didn't have customer content center fasteners I could share with you, so I had to borrow the standard. Since I'm using standard content, I also I know I could use Autodrop, but the point was to show an alternative. All I ask is you bear with me on the standard content part. So with that said, it's time to get started. Of course you'll need to place your content from the browser. 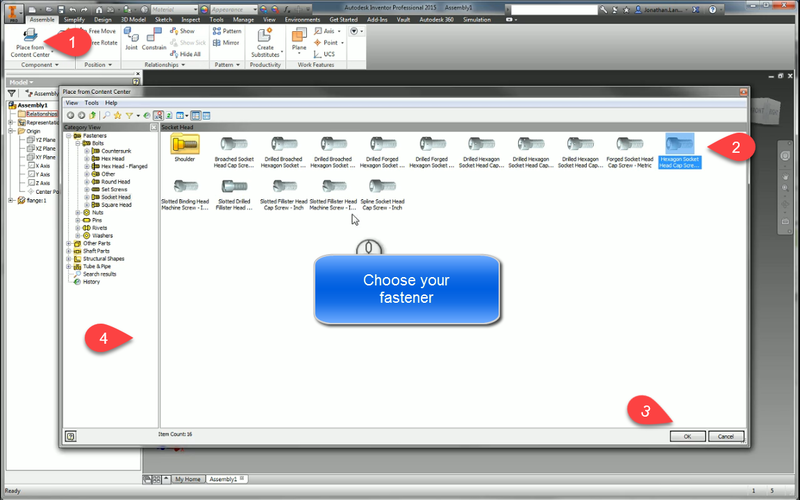 2) When the fastener previews, right click and choose the size you want to place. 3) Next left click to place your fastener, but here's the trick. Without you even knowing it, the insert constrain is active. Before you left click to place the next fastener, left click under the head of the fastener you wan to place. 4) Now select the mating hole, the insert constraint will be created! 5) All that's left is to repeat the steps if you have multiple fasteners! You don't have to exit the command! 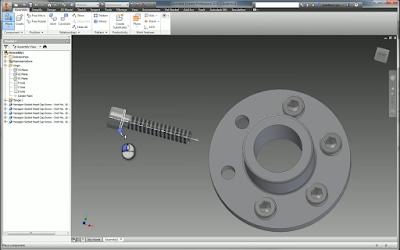 Repeating the step for multiple fasteners. So give it a try if you have content you're using, particularly custom content. I've found it helps me out, I hope it does the same for you! This post is a bit more "manufacturing focused" than CAD focused. It was brought on by my most recent experience in design. I wasn't exposed them as much as I would have liked in college, so I like to share that newly acquired knowledge of mine with the world out there. So what have I learned about most recently? Threaded inserts. I've been spending a lot of time working with them in the last year or so. A Fusion 360 rendering of a thin wall insert. 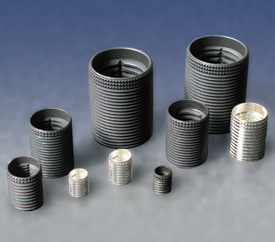 Most of us have probably used helical coil inserts, which most of us know by their trade name, Helicoil. But recently, I had to use "thin wall" inserts, designed to meet the MIL-I-45932/1 standard. If you like, you can download that standard here. A real image of thin wall inserts. Image from Acme Industrial. They're a new experience for me. I hadn't worked with them before. I had only installed the aforementioned helical coil insert. We use them to reinforce holes in aluminum castings. 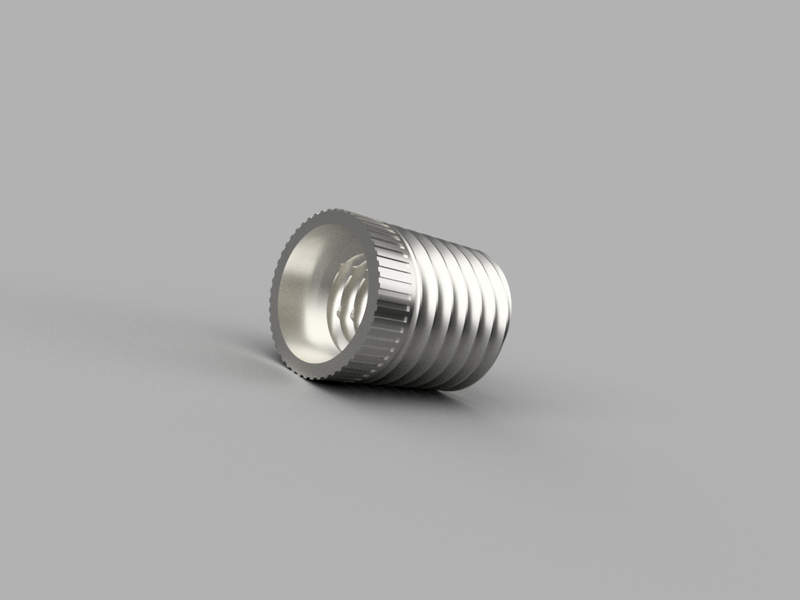 Stainless steel inserts provide a more durable interface for the hardware to fit into, and makes it easier to assemble and disassemble without wearing the threads as quickly. 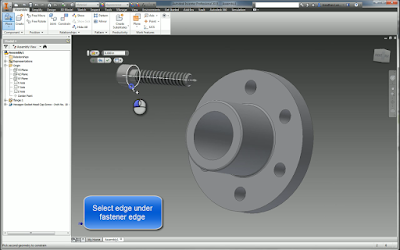 The thin wall inserts have the extra advantages of using standard threads, so they don't require any thread making tools. They also work when there isn't a lot of edge distance to play with, such as a flange. Where using too big of an insert risks weakening the interior all. The downside is that, at least from what I'm told, these are tougher to put in. You can't twist them in like a Helicoil. They have to be threaded in, then the collar has to be expanded with a special tool, and a bit of skill is required to keep from damaging the surface, or the insert itself. For the steps to install a thin wall insert, he's a nice "shop video" from Acme Industrial. There are so many things to learn, and such little time. I hope this little blurb is something you find helpful! 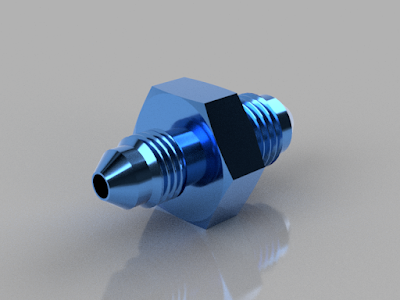 As always, here's the embeded Fusion 360 model that I always have so much fun including! Old Technology Flashback - The Boeing P-26 "Peashooter"
This Friday's post is just a video of old technology. It's just a fun way to look back on how things were, "once upon a time". It still starts in the same way it did in the 1930s when it was a front line fighter. With an inertial starter. You can find a brief blip on the technology at this Wikipedia link! That means spinning up a flywheel, and using the flywheel to turn the engine and get that precious first spark! But a mere description doesn't do the old technology justice. Check out the video below! Those guys had to be in incredible shape!